Please Note: Trout Pass Bar is now closed, and the space is being transformed into the Salon by the Springs. Guests may now visit the new pool bar at Wilderness Lodge, Geyser Point Bar & Grill. 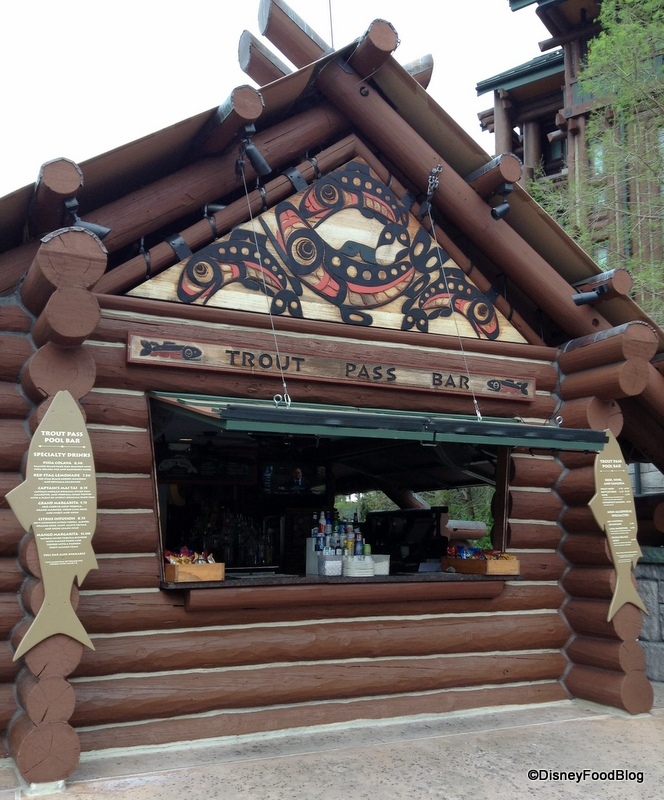 In a cute little cabin down by the water at Wilderness Lodge, you’ll find some great folks serving up some cool libations and conversation. Relax by the pool, at the hot tub, or on the beach with a refreshing drink, or just visit with your friends and family in the seating area (in the shade!) behind the cabin and by the beach. Service is a consistent thumbs-up at this friendly location. Standard Disney cocktail menu plus two specialty beers on tap, Moosehead and Red Hook. Open daily from approximately 11a.m.-8 p.m.
Disney Food Blog Posts Mentioning Trout Passnothing found.